We offer a wide range of new build properties such as villas, apartments, penthouses, townhouses and bungalows for sale at the Costa Blance South. 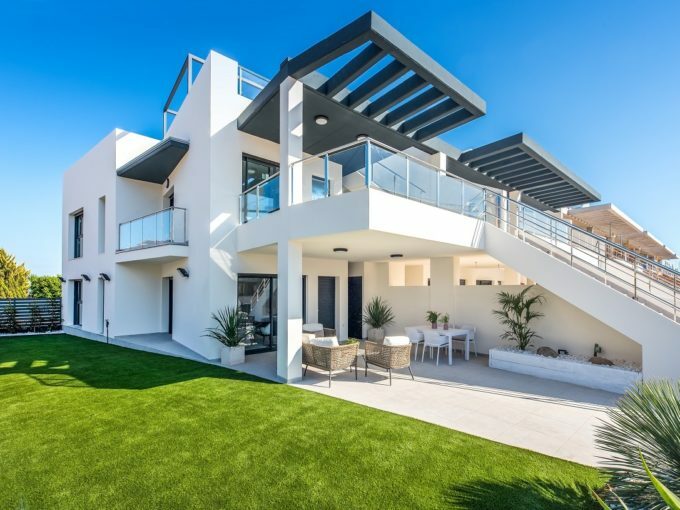 These new build properties are mainly located in Torrevieja, Orihuela Costa, Daya Nueva, Los montesinos and Guardamar del Segura in areas such as Playa del Cura, Playa de los Locos, Aguas Nuevas, Sector 25, Nueva Torrevieja, Punta Prima, Playa Flamenca, Villamartín, Campoamor, Cabo Roig and many more. Don’t miss the oportunity to buy new build properties in and around Torrevieja and Orihuela Costa! Modern newly built complex for sale located in a quiet residential area of Torrevieja “Los Balcones”. New build residential building in Guardamar del Segura for sale only 800m from the best beaches. Lovely modern new build villas all one level for sale in a quaint village near the sea, Guardamar. Smart contemporary new build villas for sale with a warm Mediterranean touch in Los Montesinos. Fantastic new build bungalows for sale in Daya Nueva close to Guardamar del Segura. Very last new build holiday homes for sale in Playa Flamenca, La Florida, Orihuela Costa. New-build apartments for sale only 200 meters from the beach Playa Del Cura in Torrevieja. 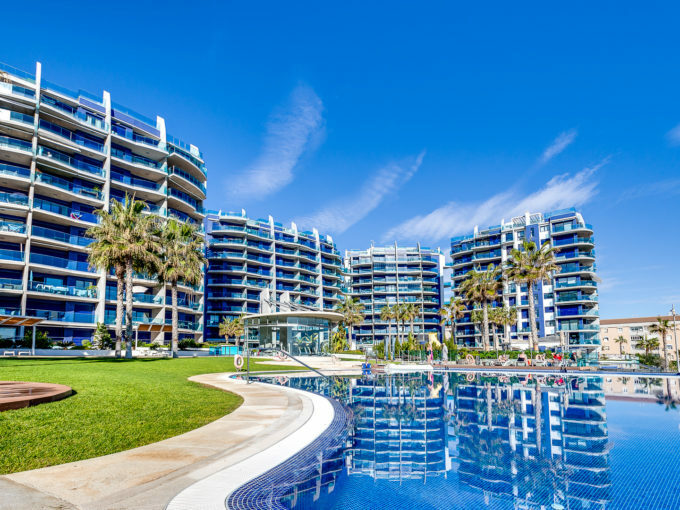 Modern apartment with sea views for sale in a resort less than 100m from the beach in Punta Prima, Torrevieja.